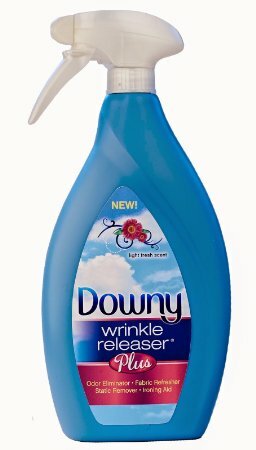 I was given a free bottle of Downy wrinkle releaser from HOUSE PARTY. I was excited to see if it actually worked, because I hate to iron. In fact I would rather re-wash and dry clothes just to avoid the iron. So, I pulled out a shirt and of course it was wrinkled. I pulled out the Downy, sprayed the shirt and smoothed it per directions, GONE!!! The wrinkles were GONE!!! Bonus it smelled so good too. I was also reading the bottle and it says it is a fabric refresher. I sprayed everything fabric, including my curtains, carpet and couch*. I think this is a great product to try if you hate the iron, but love to look good when you leave the house. I received the Downy for free to try. 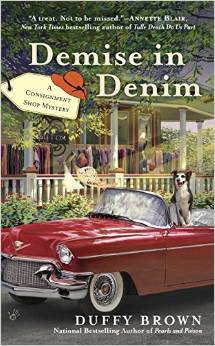 It’s springtime in Savannah, Georgia, in the newest Consignment Shop Mystery from the national bestselling author of Pearls and Poison. The azaleas and magnolias are in bloom—and Walker Boone is on the run. . .
DENIM IN DEMISE picks up where Dead Man Walker left us, with Reagan Summerside on the run from the police in Boone’s car. Boone the local lawyer once gang member finds himself in a heap of trouble. This is a Three olive martini and a sprinkle donut problem. A man is found dead and Boone is the suspect. Now on the run it is once again up to Reagan to find the true killer, and do it before the killer realizes and tries to kill her first. I have grown to love this series and enjoy reading about Aunt Kiki and BW Reagans pet dog. Boone is another character filled with Southern charm. I enjoy the way that the store Regan owns has become another character. The store goes through as many changes as the characters. I love the progression of the relationship between Reagan and Boone. I do hope to hear more from all of these characters. A great series that I recommend you read and read in order. If you are a cozy fan these are a must for your to be read list!! !